Hey! I'm NotImportant, creator of a free-to-read webcomic called Replay! It's an urban-fantasy story in which world as we know it ceases to exists after one guy signs a faustian pact with the demons. We follow a bunch of initial chaos survivors who are trying very hard not to die. 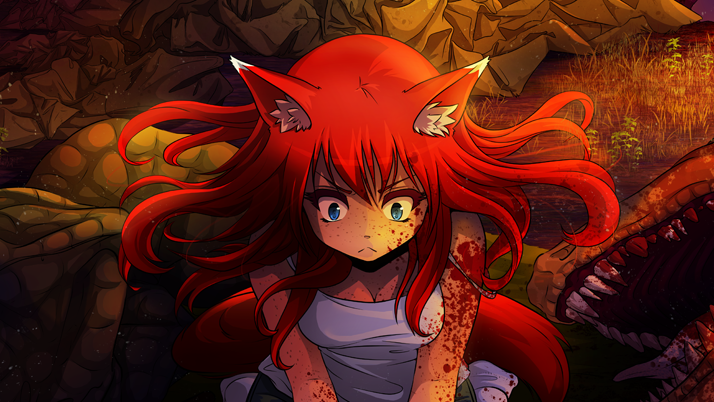 Replay updates once a week and is in full color, all characters have animal ears and tails, there are some curse words, occasional dead bodies, blood and flying guts ಠ_ಠ I also make drawing process videos from the pages and draw some extra comics. Also shelter from the demons, occasional food and pat on the back when you feel bad. Enjoy your camp life! Your exceptional commitment has been noted! You receive a Private rank, feel free to order people around! // I have removed the goals for now as my life has drastically changed and at this point, I don't feel comfortable making any promises heh. Updating the comic on time is hard enough right now. We'll see how it is once my life-work situation stabilizes. Thanks for your understanding!